The focus for crypto wallets tied with VISA/MasterCard bank cards was pretty much on Bitcoin (BTC), but now it has started moving to altcoins as well like in the case of Wirex adding support for Litecoin (LTC). Wirex was one of the companies that has relied on WaveCrest and as a result like many others their cards became invalid at the start of the year. Meanwhile the company has been working to start issuing new bank cards that are tied to crypto currencies and they have just announced that besides Bitcoin (BTC) they are already supporting Litecoin (LTC) with other altcoins also to be supported soon. Wirex has been resulting their services with the release of virtual debit cards and physical plastic cards should soon be available again as well. – Spend Litecoin by instantly converting into local currency like GBP, EUR or USD to spend with your free Wirex Visa Card. 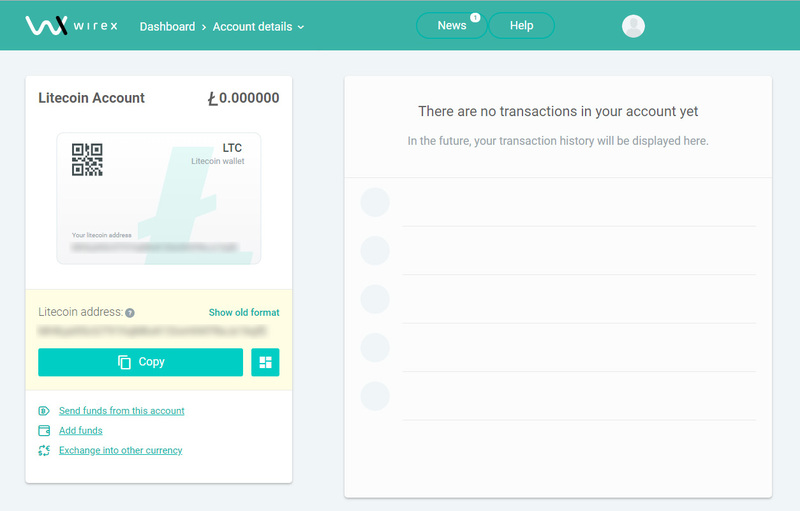 – Buy Litecoin via your Wirex account, which can be funded by bank transfer, debit or credit card (high limits, instant purchase, easy account verification, fully secure). – Deposit dozens of popular altcoins for instant exchange into Litecoin (cash out ICO profits with ease). – Exchange Bitcoin for Litecoin or vice versa at any time (useful if you see positive or negative news and want to catch a sudden increase in BTC or LTC value). – Withdraw Litecoin to any other LTC wallet (including free money transfers or making purchases with Litecoin. – Or use Litecoin as a payment option as major brands make it available (starting soon based on industry rumours).